The Conflow Code 53 - Ball Float Valve maintains the desired level of fluid in a storage tank. The opening and closing of the valve is achieved by a lever, which operates a plunger to push a poppet valve off its seat. The lever has a float attached, which rises and falls with the fluid in the tank, thus opening and closing the valve to maintain the level. 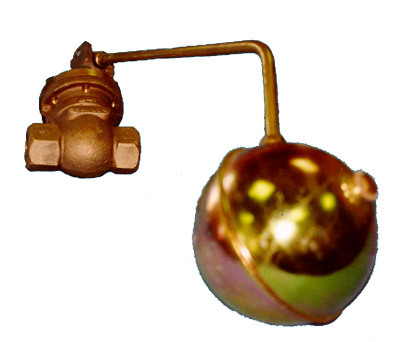 The larger valve sizes in this range are "pilot operated", which uses the energy in the supplied water to open and close the valve with only a small amount of force from the float lever. This means large flows and large pressures can be handled for rapid filling of tank systems. The information on this data sheet is accurate to the best of Conflow’s knowledge, however we reserve the right to alter the product specification at any time. For any specific updated detail, please contact us.